1. You need to create a main character on the brink of adulthood, having goals that are either confused or not yet clarified. 2. The reader must understand who the main character is and how the main character feels and thinks before an event occurs that begins the process of change. 3. Cleverly work your plot so that the protagonist’s naive life (childhood) is pitted against the reality of an unprotected life (adulthood). 4. The focus of the story should be on your protagonist’s moral and psychological growth. 5. Once you’ve established your protagonist as he/she was before the change, develop an incident challenging his/her beliefs and his/her understanding of how the world works. 6. Decide if your main character will reject or accept change or perhaps do both. Decide if he/she will resist the lesson in life and decide how he/she will react to the change. 7. Show your main character undergoing a gradual, not sudden, process of change. 8. Be careful to portray your young protagonist in a convincing manner. He/she shouldn’t have adult values and perceptions until he/ she is ready to portray them. In other words, don’t have your hero/heroine grow up too fast. 9. Decide at what psychological price the main character learns his/her lesson and develop a deepening plot revealing how the protagonist copes with the life-changing lesson. So, there you have nine pointers to help you develop a Maturation Plot. While you’re writing the next best seller in this subgenre, don’t forget that writers are readers. Get some classics out of the library or online and study how the masters developed this clever way of presenting an excellent story. Have you ever had a problem that you just can’t fix? You’ve tried everything, but have nothing to show for it? I had one of those situations last week. I was copying some CDs for a non-profit when the robot duplicator stopped working. I had shut it down the night before, and when I came back the next day, it wouldn’t turn on. Tech support had told me that the motherboard or CPU was about to go out, and when it did, it would cost a lot of money to get it fixed. I spent 30 minutes plugging, unplugging and fiddling with cords, switches etc., trying to get it to turn on, but to no avail. Yesterday, I was at my wits’ end. I needed to fulfill an order, and it still wouldn’t turn on. I stopped, bowed my head, and silently prayed. Lord, we really need this duplicator to work. The non-profit doesn’t have the money to replace it, and we’re using it to encourage people in your word. Please make this thing turn on and work properly. Did you know that Jesus fixes computers? “Oh what peace we often forfeit! Some may say that is a very small thing. Why would God care about that? But you know what? Sometimes God’s greatness is shown by how small of things He can do. This little thing He did for me was a great reminder of the power of a faith-filled prayer, and that NOTHING IS TOO HARD FOR GOD. What do you need God to do in your life? Is it too big? Is it too small? Amber Schamel is a multi-published author of Christian historical fiction. Her passion for history and culture has led her to travel extensively throughout the United States, Europe, and the Holy Land. Amber is actively involved in her church and enjoys volunteer work and music ministry. Reared in a family of twelve children and homeschooled throughout her education, she currently resides in the beautiful state of Colorado where she also serves as bookkeeper and marketing director for their family businesses. My guess is that you’ve read all these books or you’ve seen all these movies (representing this subgenre) and thought they were mesmerizing. Of the three, the chick flick, My Fair Lady, is one of my all-time favorite movies. 1. The plot of transformation should deal with the process of change as the main character journeys through one of the many stages of life. 2. 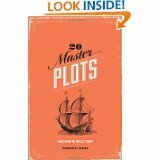 The plot isolates a portion of the main character’s life that represents the period of change and moves from one significant character state to another. 3. The story concentrates on the nature of change and how it affects the main character from the first page to end of the experience. 4. The first dramatic phase relates the transforming incident that propels the antagonist into a crisis, which starts the process of change. 5. The second dramatic phase often depicts the effects of the transformation. The plot is about character; thus, the story concentrates on the main character’s self-examination. 6. The third dramatic phase contains a clarifying incident, which represents the final stage of the transformation. The character understands the true nature of his/her experience and how it has affected him/her. This is usually the point of the story when true growth and understanding occur. 7. Often the price of obtaining that wisdom is a certain sadness. Author Patti J. Smith is married and the grandmother of two beautiful granddaughters. She recently retired as a background investigator to care for her aging parents and pursue her passion of writing. She has written poetry since childhood; however, she recently heard the calling to write devotionals. Through her work she hopes to spread the message of God’s endless love, mercy, and compassion. Her ministries include co-leading Rachel’s Hope Post-Abortion Healing retreats in San Diego County (including the women’s jail) and serving as a Regional Coordinator for the Silent No More Awareness Campaign. She enjoys reading, travel, and spending time with family and friends. She’s also a live and fantasy football fanatic and a diehard Seattle Seahawks fan. “I was watching a History Channel documentary on the aging material infrastructure in the United States,” she says. “Infrastructure is crucial for our survival and has great potential for disaster if not maintained or improved. “Here it comes…it got me thinking (again)…,” Patti adds. “Don’t we also have a spiritual infrastructure? Isn’t it just as crucial? If the foundations of buildings, bridges, dams, etc. are weak, there is substantial risk of catastrophic collapse. If our faith foundation is weak, it too would collapse destroying our moral compass. “Everyone who listens to these words of mine and acts on them will be like a wise man who built his house on rock. The rain fell, the floods came, and the winds blew and buffeted the house. But it did not collapse; it had been set solidly on rock” (Matthew 7:24-25). Patti’s working on a new project, “365 Days of Gratitude – From the Hearts of Children.” The book will include statements from children on what makes them happy and grateful. Patti’s devotionals can be found at http://amazon.com/author/pattijsmith.